I'll be honest, this is a bit of a copy cat recipe. 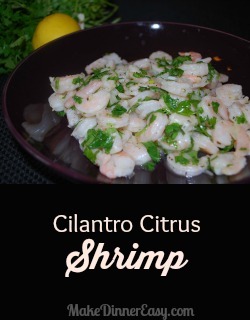 I used to buy a Cilantro Lime Shrimp Salad as one of those big box stores. My kids loved it, but it was expensive! I thought, this really can't be that hard to make and I started to experiment with ingredients. Bingo, I think I got it! Now, I will say that most people either love cilantro, or not so much. If you are in the not so much category, you can substitute flat leaf Italian parsley instead. You can also use the size of shrimp that your budget allows. I have made this with small salad shrimp which you can find in the frozen food section and that aren't as expensive as larger shrimp. If you want to make this easier to eat you can either purchase shrimp with the tails removed or ask the person at your seafood counter to do it for you. 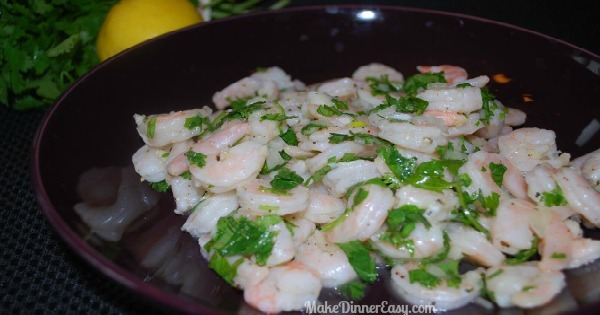 If you're going to make this, there is one important tip that I've included in the recipe directions that pertains to making sure the shrimp aren't too wet. 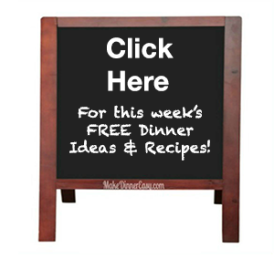 This tip applies to any recipe using shrimp! Prep the shrimp by making sure they are defrosted. I recommend placing the defrosted shrimp in a colander and using a paper towel to blot the shrimp dry. If their are ice crystals on the shrimp or it's excessively wet, it will water down your dressing and make the salad too soupy. Place all of the ingredients in a medium sized mixing bowl and set aside. Mix the dressing ingredients together in a small glass bowl and add to the salad ingredients. Mix well. Refrigerate for 1-2 hours or serve immediately. This can be served as either an appetizer, a side dish, or a main dish. If serving as a main dish, I would recommend serving it over a bed of dressed lettuce. If this is something you want to make it the future, Pin it for Later!